This webinar will demonstrate how to design and build rich end-user search and discovery applications using Linked Data. The Linked Open Data cloud is a rapidly growing collection of publicly accessible resources, which can be adopted and reused to enrich both internal enterprise projects and public-facing information systems. The webinar will use the Linked Canvas application as its primary use-case. Linked Canvas is an application designed by Synaptica for the cultural heritage community. It enables high-resolution images of artworks and artifacts to be catalogued and subject indexed using Linked Data. The talk will demonstrate how property fields and relational predicates can be adopted from open data ontologies and metadata schemes, such as DCMI, SKOS, IIIF and the Web Annotation Model. Selections of properties and predicates can then be recombined to create Knowledge Organization Systems (KOS) customized for business applications. The demonstration will also illustrate how very-large-scale subject taxonomies and name authority files, such as the Library of Congress Name Authority File, DBpedia, and the Getty Linked Open Data Vocabularies collection, can be used for content enrichment and indexing. There will be a brief discussion of the general principles of graph databases, RDF triple stores, and the SPARQL query language. This technical segment will discuss the pros and cons of accessing remote server endpoints versus cached copies of external Linked Data resources, as well as the challenge of providing high-performance full text search against graph databases. The webinar will conclude by providing a demonstration of Linked Canvas to illustrate various end-user experiences that can be created with Linked Data technology: faceted search across data collections; pinch and zoom navigation inside images; the exploration of concepts and ideas associated with specific points of interest; the discovery of conceptually related images; and the creation of guided tours with embedded audio-visual commentary. 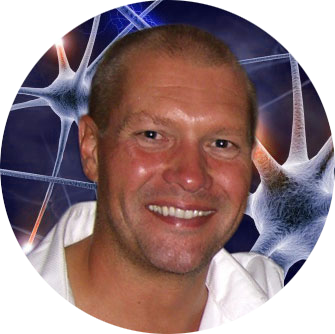 Dave Clarke is co-founder and CEO of the Synaptica® group of companies, providers of enterprise software solutions for knowledge organization and discovery. He served on the authoring committee responsible for the 2005 version of the US national standard for controlled vocabularies, ANSI/NISO Z39.19. Dave leads research and development at Synaptica, where is developing an extensive range of software solutions for ontology management, image management, Linked Data management, and text analytics. He is actively involved in educational outreach programs including LD4PE, the Linked Data for Professional Education initiative of DCMI. Synaptica software solutions have attracted numerous international awards including: Knowledge Management World magazine’s 100 Companies that Matter in KM and Trend Setting Product of the Year (multiple awards between 2011 and 2017). In 2016 Clarke was awarded the Knowledge Management Leadership Award by the Global Knowledge Management Congress. Dave is a Fellow of the Royal Society of Arts, London, and an Associate of St. George’s House, Windsor Castle. He is currently researching the impact of personalized search and social media on social polarization and post-truth politics.